‘When it is pressed or attacked, it changes form and repositions itself. It exerts constant counter force to search for weakness.’ This is a quote from the website The Taoism for the Modern World describing an aspect of the Tao of water. 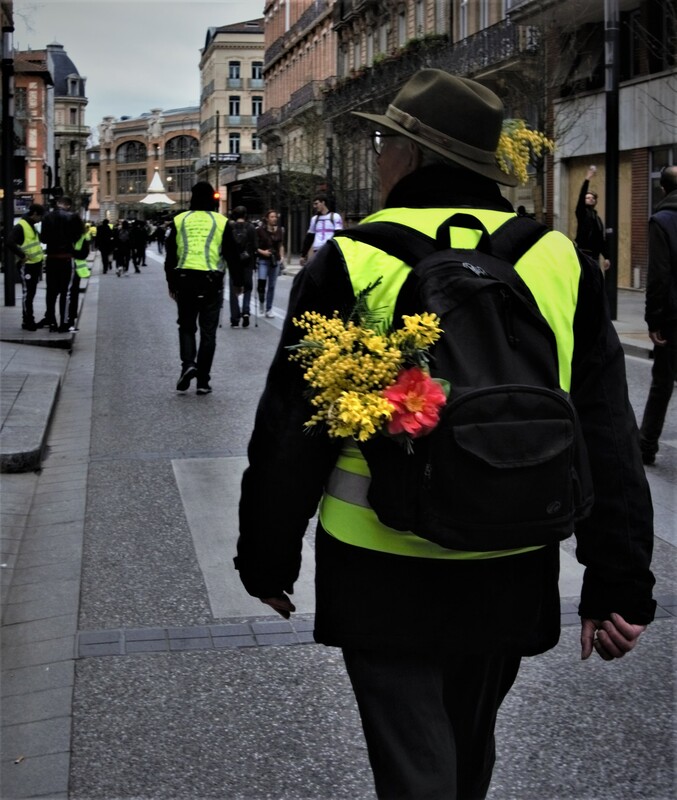 But the quote could also be easily applied to both the Gilets Jaunes and to the French government. 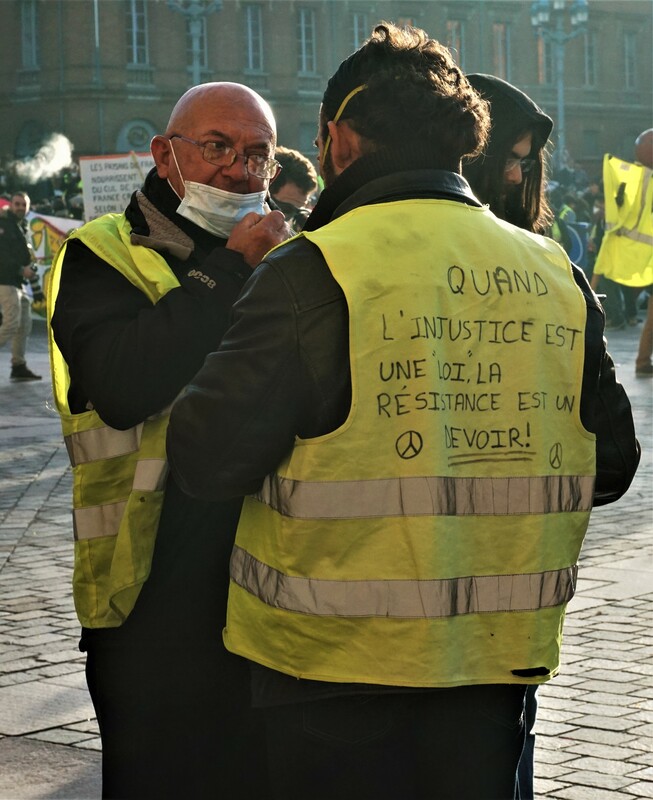 The Gilets Jaunes movement that had started in mid-November 2018 is still going strong. And the government – unwilling to give into demands for more direct democracy, the re-introduction of the wealth tax and higher salaries combined with lower taxes for the working and middle class – appears, in a seemingly helpless manner, to rely on the use of force. 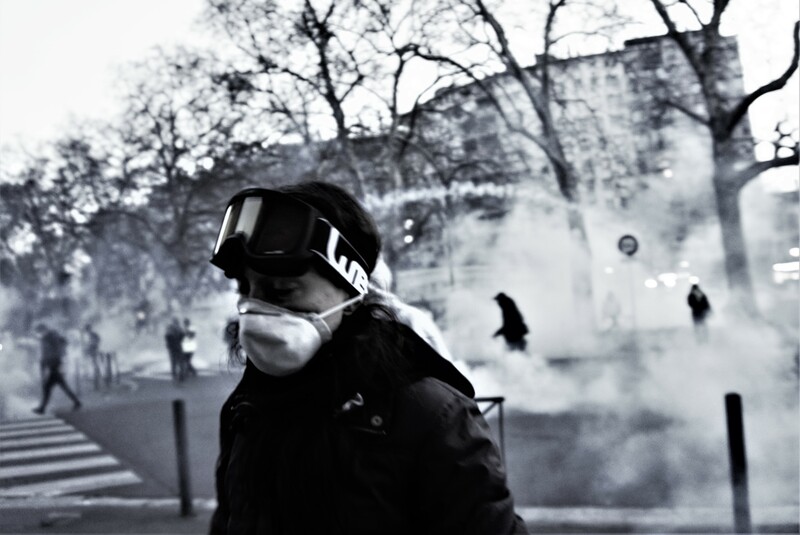 Its most recent strategy has been revealed on March 18 by Prime Minister Édouard Philippe introducing new, stricter measures including more autonomy for the police forces employed, the use of drones, declaring certain areas such as the Champs Elysée (Paris) or the Place du Capitole (Toulouse) out of bounds for protests and banning the full or partial covering of faces. 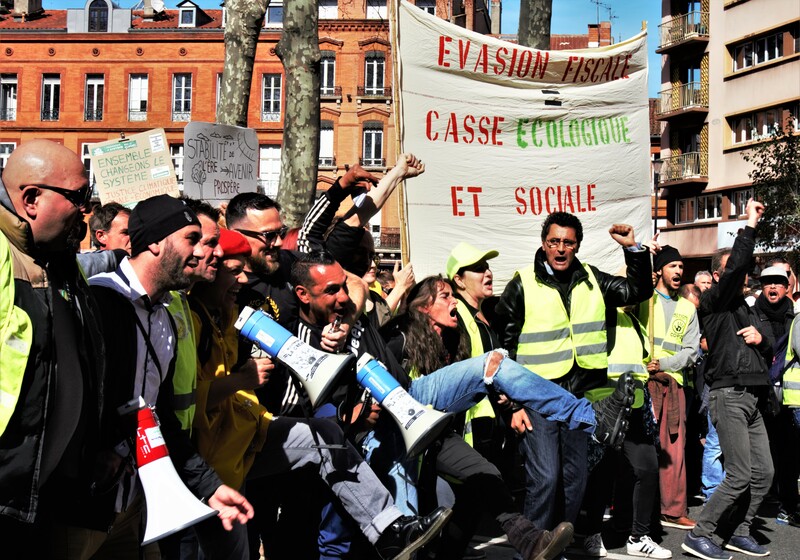 The atmosphere at the protests, however, leaves to conclude that the Gilets Jaunes are as unwilling to give in as the government. 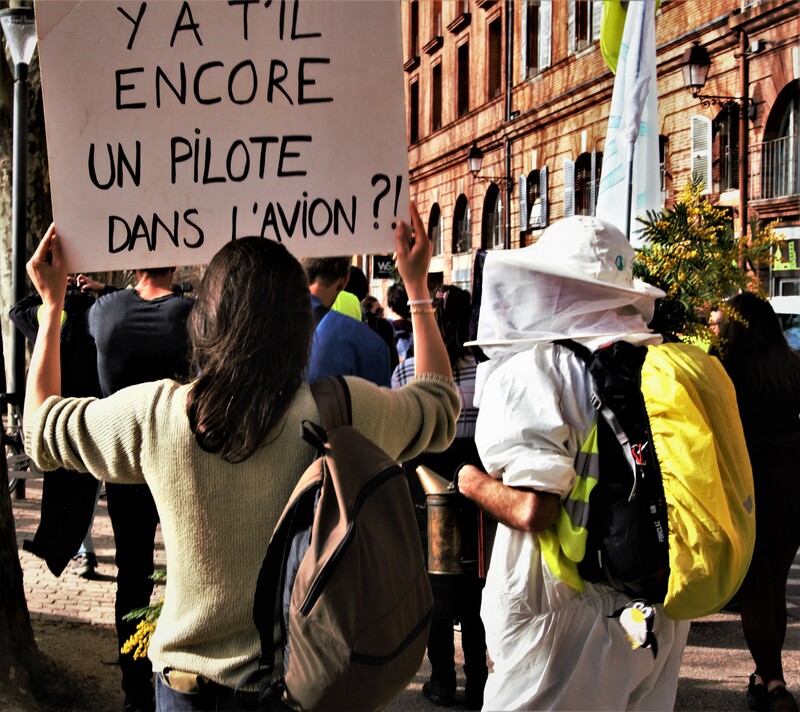 As the protesters march through to Toulouse on one of the first warm days of March they shout ‘We are not tired’. 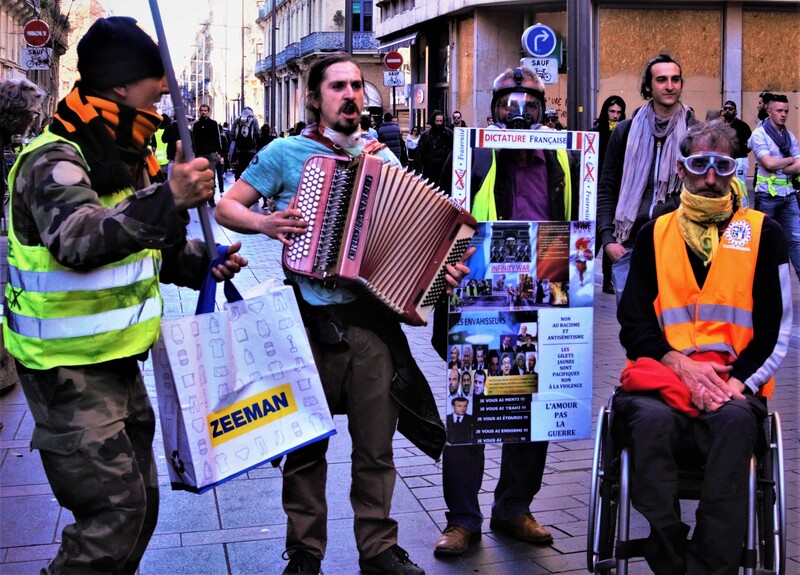 And a woman wearing a yellow high-visibility vest – the source of the movement’s name – on which she has written ‘I am scared but I am here’ joins the other protesters in their singing: ‘We are here! We are here! 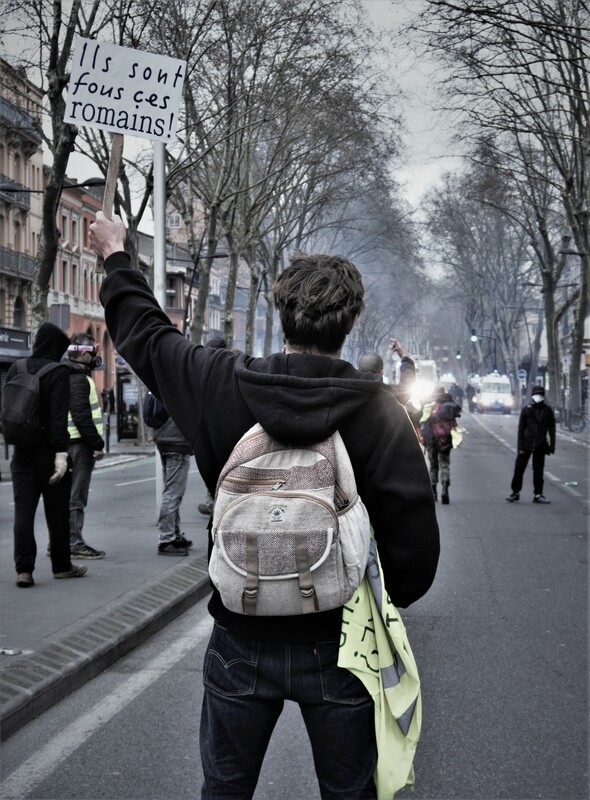 Even if Macron doesn’t want it, we are here. 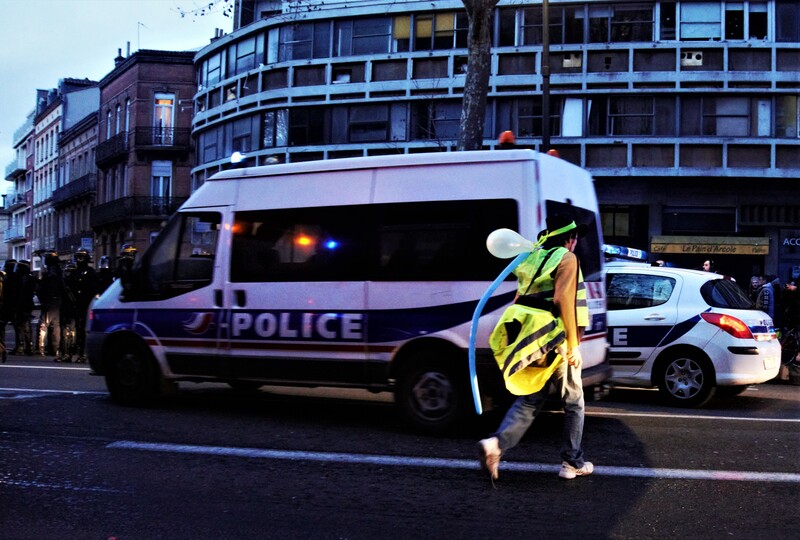 For the honour of the workers, and for a better world, even if Macron doesn’t want it, we are here.’ A few steps away some protesters are collecting donations to pay the defence lawyers of imprisoned Gilets Jaunes – it is only one of many instances in which the solidarity between the protesters becomes evident. 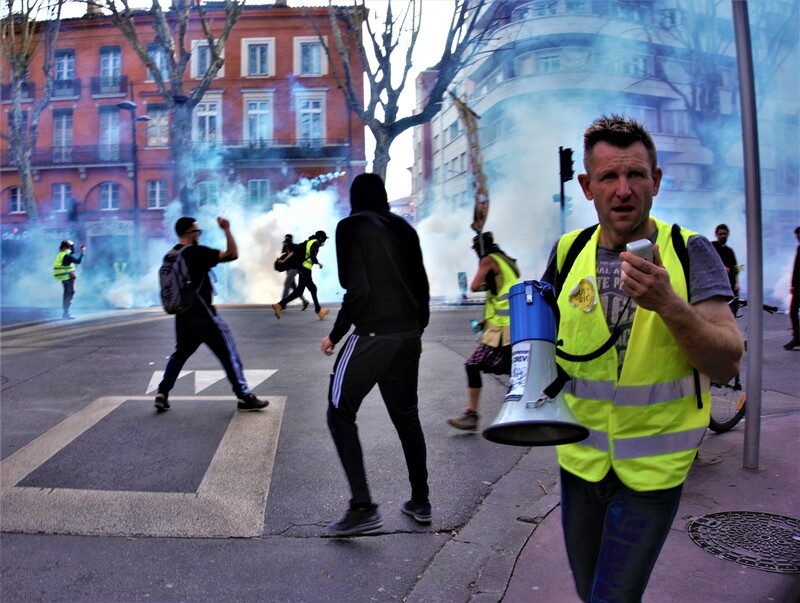 While the French government is trying to staunch what some, more or less in jest, refer to as a revival of the French Revolution, and only seems to even more dam up the anger of the people that is already overflowing, it is no also criticised for excessive use of police force by human rights organisations and international political bodies alike. Criticism and accusations which it refutes or seeks to play down. 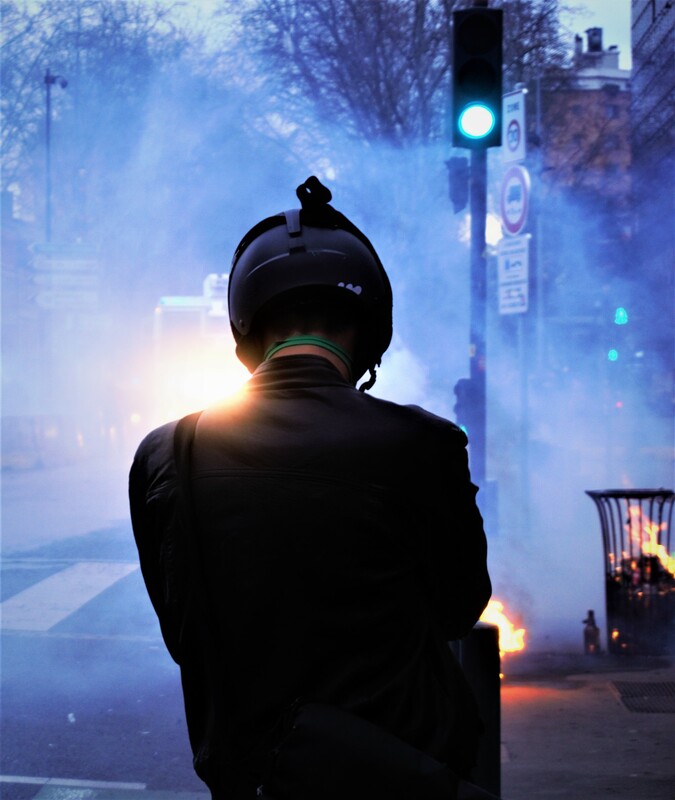 In early December 2018 the French human rights organisation Ligue des Droits de l’Homme (LDH) pointed out the disproportional and at time illegitimate use of GLI-F4 and LBD 40. 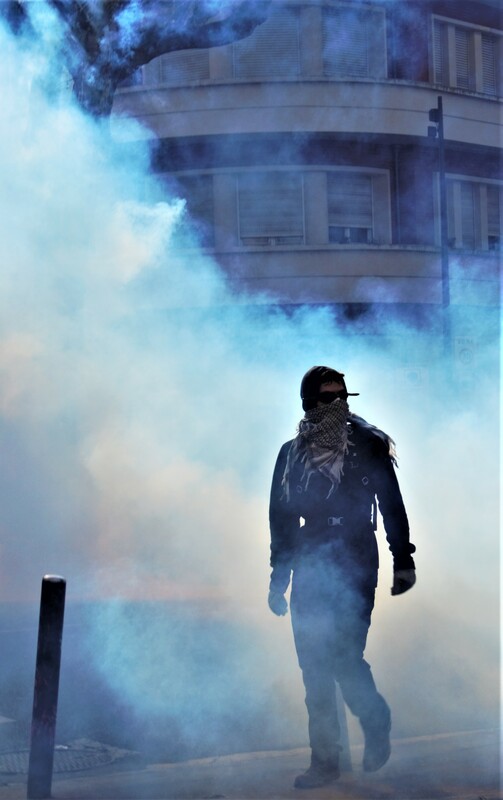 GLI-F4 is a tear gas grenade that contains 25g of TNT which has caused several people to lose a hand. LBD stands for lanceur de balle de défense (defence ball launcher) and is a rubber projectile of about 4 cm size (diameter). 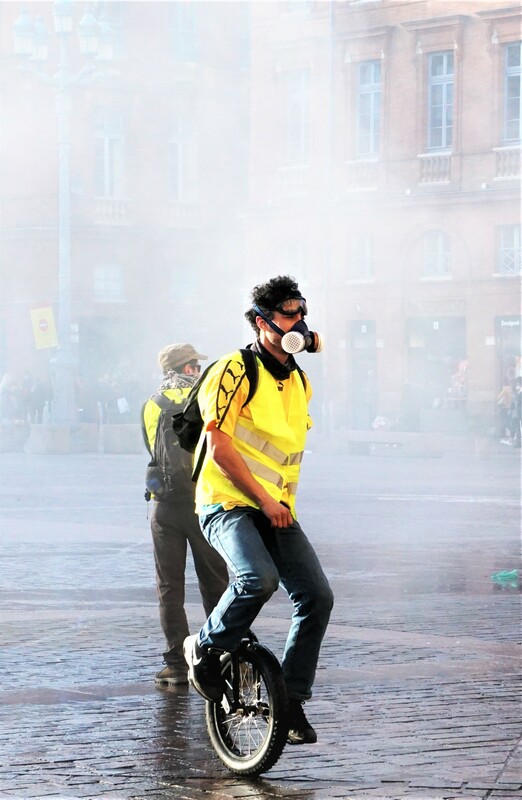 It is classified as a ‘less-lethal’ weapon and can cause bone fractures and has cost a number of Gilets Jaunes an eye. France is the only EU country making use of both GLI-F4 and LBD 40. 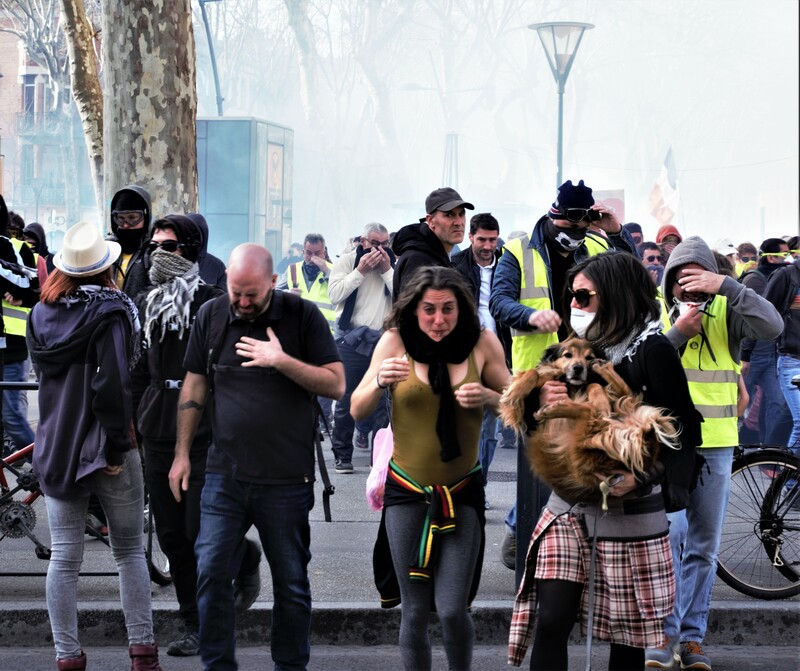 On February 14, 2019, the EU Parliament was the first international political institution to criticise the manner in which force had been used against protesters by French authorities. The Council of Europe Commissioner for Human Rights, Dunja Mijatović, issued a memorandum on the situation. She noted a lack of respect for human rights in the attempts to maintain public order and criticised the, then planned and now introduced, measures including ‘excessive restrictions to freedom of peaceful assembly’, as well as the methods used, particularly the use of LBD. 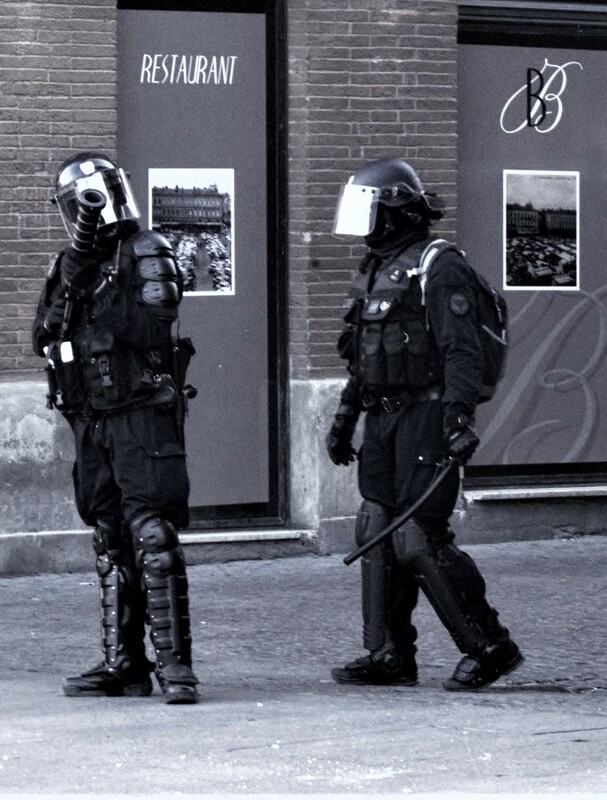 Contributing to tensions are accusations of the police using illegitimate force against journalists and children. 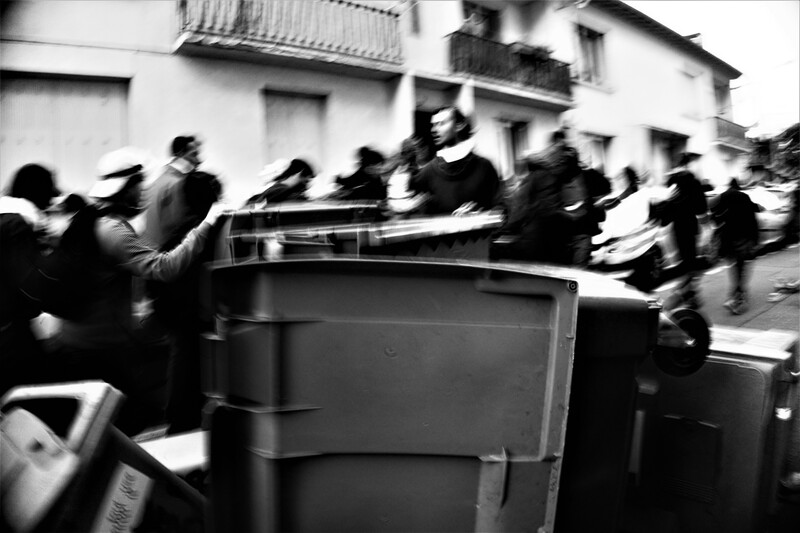 In early December 2018, parallel to the Gilets Jaunes protests, high school demonstrations against a planned school reforms, were taking place. 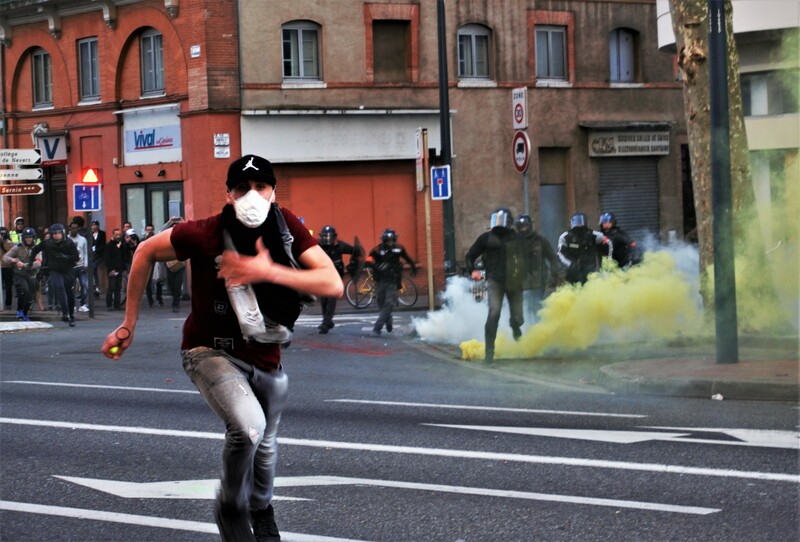 In a Parisian suburb a peacefully protesting student was, according to AI, hit in the face by a LBD rubber projectile. A couple of days a video went viral showing students being forced by riot police to kneel with their hands behind their heads or handcuffed behind their backs. 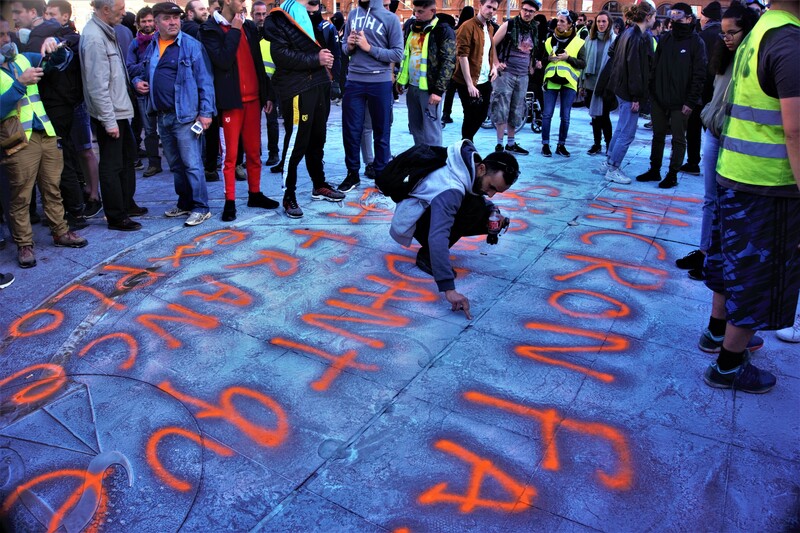 According to lawyer Mourad Battikh, some of the students might have been kept in this position for up to four hours which would constitute a form of cruel and degrading treatment prohibited under international law. 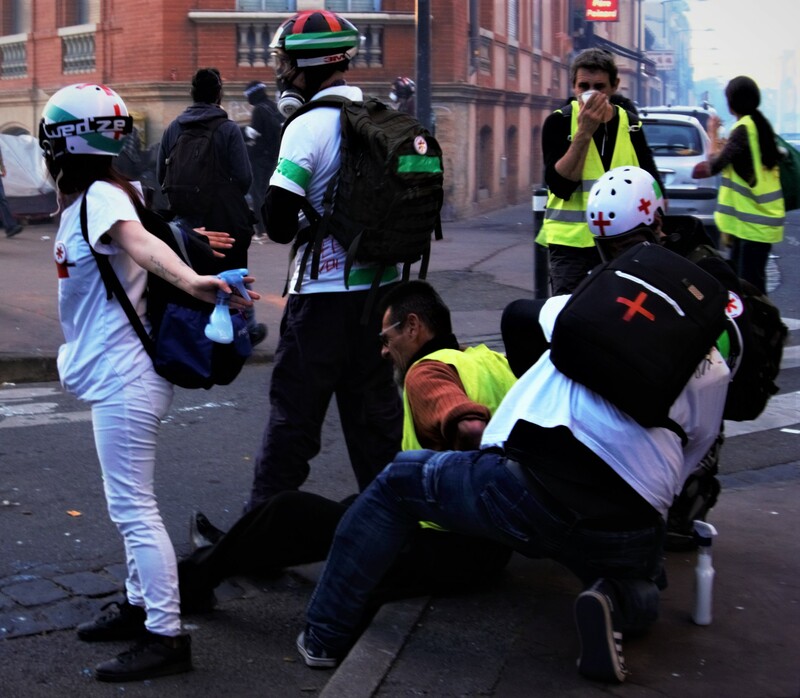 In addition to that, a number of journalists were injured. Some of the claim they had been deliberately targeted and repeatedly shot with LBD rubber bullets despite being clearly identifiable as press. 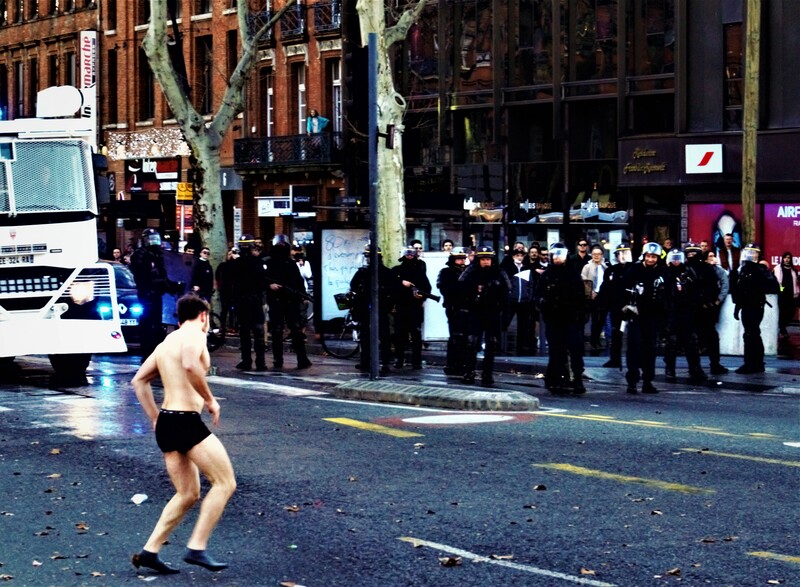 The task of the French police is undoubtedly a difficult one, especially given their already bad working conditions with the result of a worrying wave of suicides among the ranks of the police nationale. 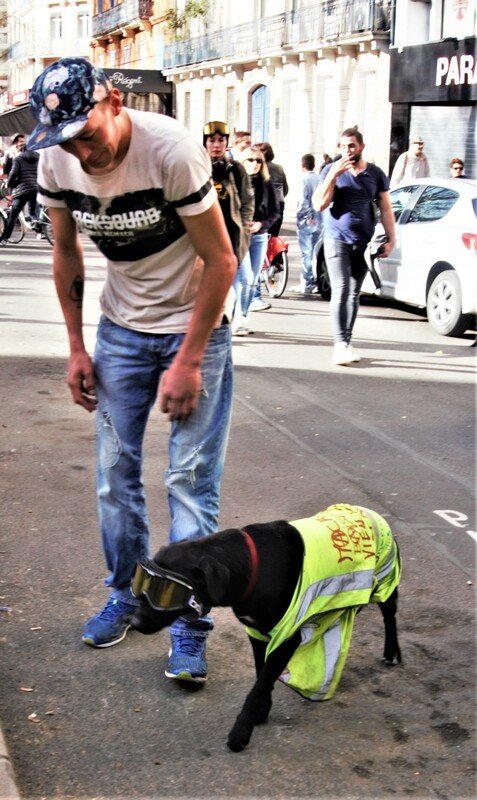 The EU Commissioner for Human Rights took note of them ‘working in the context of high tensions and fatigue’ and stressed the importance of adequate salaries, sufficient time off work, as well as psychological support and human rights training throughout the police officers’ careers. 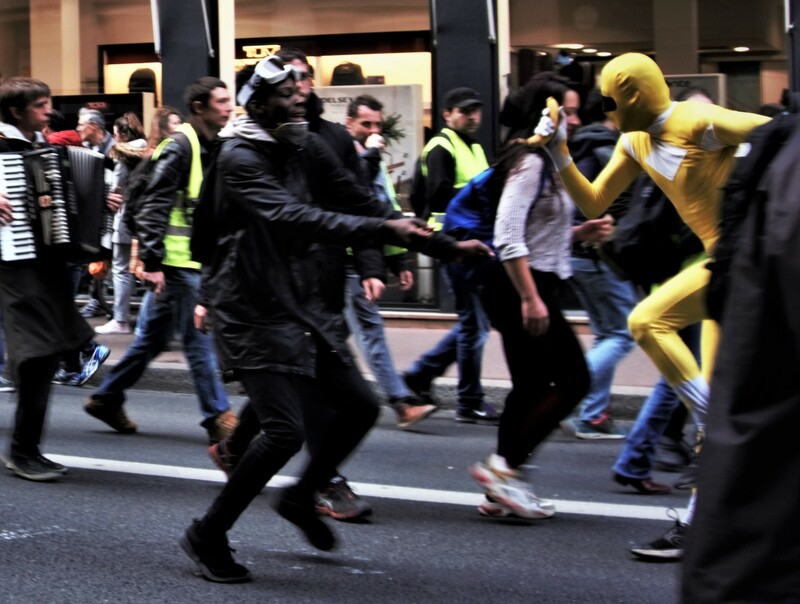 Like water, the French government is trying to find the Gilets Jaunes’ weak spot, to find their breaking point. 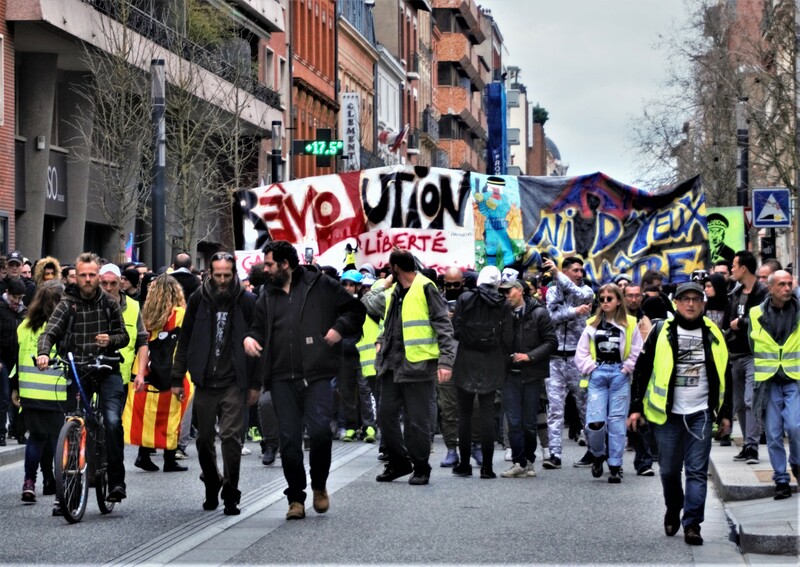 Yet, like water, the movement, that if anything has brought to light France’s social injustices, repositions and adapts continuing to flow down the river of protest towards the sea, the outcome, that is still uncertain.